Crash the Super Bowl contest is one of the most prestigious event Doritos has ever organized. Strict mechanics and in consonance with the general information provided must be observed. This kind of competition is quite different among all companies holding a competition, because this time Doritos Company established an annual commercial advertisement using their product—Doritos chips. Everyone from 46 countries where Doritos chips are distributed is allowed and eligible to enter the said competition. The video clip must range at exactly 30 seconds no more, no less. The Super Bowl competition established a site and partnered to another social networking site (which is YouTube) to maintain a site where you can upload entries of their advertisement. To win the contest under the judge’s hands are not easy and predictable because judges will come from internal and external parties such as Doritos Company executives, Entertainment Executives and the all-time blockbuster movie hit “The Avengers” directors and chosen staffs. The prize at stake is not a joke because as a matter of fact $1 million USD are glinting and waiting fall in someone’s hand. Not only that because there will be a chosen top five from contestant and the top 2 will air its advertisement on TV. The non-winners of the top 5 will receive $25,000 as consolation prize plus tickets trip to New Jersey with 5-night accommodation to witness the said Super Bowl grand night. The top 2 will have the chance to work with the set of “The Avengers: Age of the Ultron” movie and will have the opportunity to win the$ 1 million. The first will get the said amount and the second will receive $50,000 as consolation prize plus the two of them will have a round trip ticket to New Jersey with 5-night accommodation to witness the Crash the Super Bowl grand night on February 2, 2014. Joining Crash the Super Bowl competition is not as easy as you look at them because there are a lot of preparations and time to establish a quality clip of advertisement. Today you will learn about what are those preparations needed before making a clip. Provided here under are tips for you to work easily on your project. TIP #1: Read the general guidelines carefully provided by the Doritos Company for the eligible entrant who are enthusiastic in joining the Crash the Super Bowl contest. TIP #2: Search some existing advertisement videos so that you could understand the crash the Super Bowl competition. After that, come up with your own idea that is unique and different among all of the submitted entries. Brainstorm with your friends, neighbors, family, relatives, classmates or even your work mates. There is no age limit in this contest as long as you are eligible to join the said contest. After you brainstorm, then make a script and a storyline that would help viewers to understand your thought. Your storyline might be according to different genres such as romance, comedy, horror, drama, melodramatic, fun, serious, humorous and etc. but it all boils down to emphasize the brand which is the Doritos Chips. TIP #4: Prepare your video camera, props, lightings, costumes and the Doritos Chips on your set, so that it will not be hard for your team to search for your props during the taping. As you prepare them, make a proper segregation to avoid mixing and chaos in funding if needed. The keyword for this tip is “Being organized.” You should be organized to save time and resources in taping your advertisement. TIP #5: Before taking the shoot, you should rehearse your lines, scenes and proper gestures so that it will look good and natural to the screen. Always complement each other not superseding each other in the scene because the video is a connivance of the group not of self or individual. Listen when you are taught what to do and follow what your director in charge has said to avoid misunderstanding and chaos among the group. TIP # 6: Never underestimate the power of tripod, because tripod is a device that would deliver your camera into stability. It is also important that your video quality is not moving because it is irritating to the eyes of the viewers of Super Bowl advertisement judges and also it can cause short dizziness for them. So position your camera on stable devices because sometimes camera man has this little kind of Parkinsons disease when holding a camera, so the video shakes and it doesn’t look good. TIP #7: In editing the Super Bowl video, always refer to the general guidelines for providing sound effects and music because you might be declared as disqualified because you did not follow one of the said important instructions. Also when you are editing get the most effective scene that can convey your viewers because a thirty-second video is a long length of time that you should make use of every second emphasizing each moment you are taking. Tip #8: Watch out for the deadline of submission of Super Bowl entries. Submitting an amazing, pro video quality with lots of graphic effects, funny storyline and very oozing advertisement is zilch if you did not make it to the deadline. To remind you, the last deadline of submission will be on November 23, 2013 because on the 24th, that would be the time to deliberate semi-finalists of the competitions. 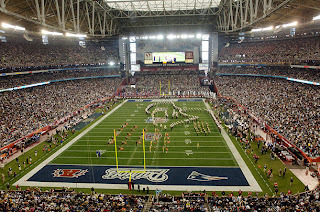 Tip #9: Share the Super Bowl video you produced to your friends, neighbors, workmates, classmates and etc. to catch high views in YouTube or in the website. Share the video you made because it is also another way of sharing its content. If you think it is worth to be watched, don’t close the opportunity to inspire other people with your superb job where efforts, time and money are joined to finish such kind of breakthrough. Tip #10: Don’t forget to watch for updates because you might be the one who is qualified to take the slot for semi-finals and grand finals. Stay on your phone, update your emails and watch out for television for further notice or announcement of 2014 Super Bowl winners.